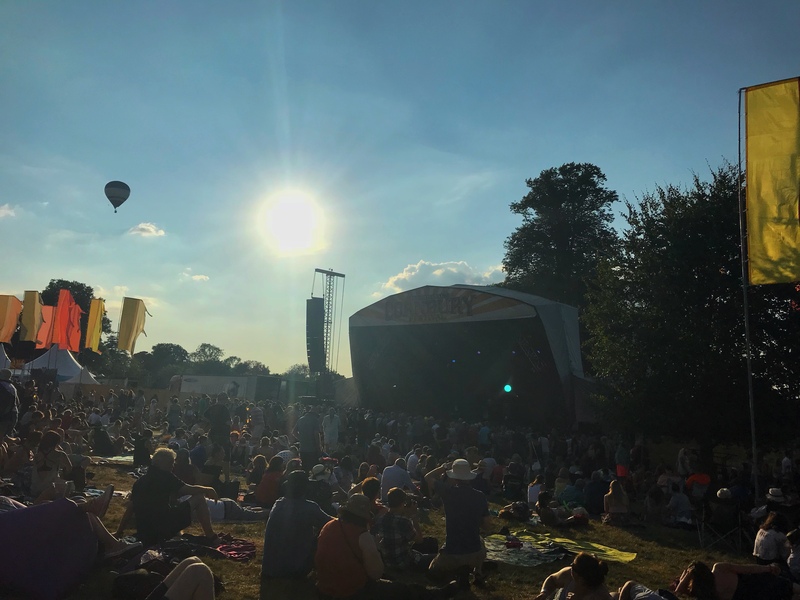 You may have read my review about the last ever Cornbury festival last year. Luckily, it wasn’t, and we got to go to their big comeback festival, held in July at the stunning Great Tew park near Oxford. With big name headliners like UB40 and the amazing Alanis Morrisesette, it was clear that they wanted this to be a big success. The fairground was spread out a bit more and the area that the dogs were in last year was closed off, for new tree growth I think, also it was too hot for the dogs to be there. 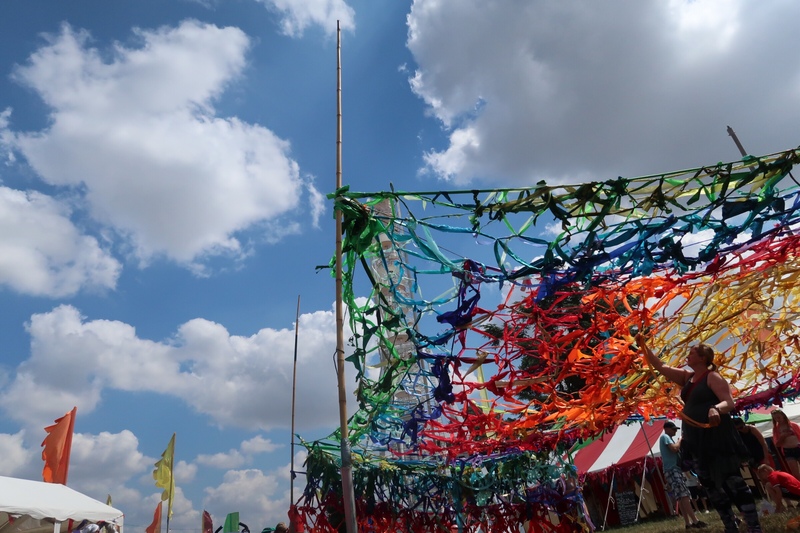 One thing we were a bit gutted about was the awesome disco shed not being there this year, we loved it! After some food, we waited at the top of the hill for the amazing UB40, Dave taking the kiddos off at one point to go and have a go on the fairground rides and hook a duck. They came back totally spun out on adrenaline and sugar. So very happy! We made it through half of UB40s set, dancing away, before the sugar crash came and we had to take two sobbing children back to the van. Them being too big for sleeping in the trolley is bit of a shame. We listened to Red Red Wine from the van and reminisced about doing the same to ‘I predict a riot’ the previous year! The kid’s zone was brilliant as always. 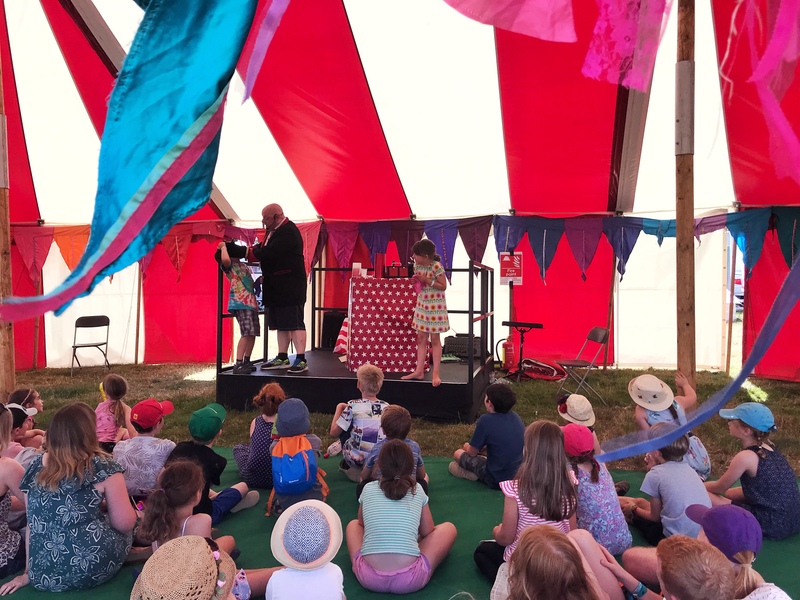 We set up camp there on the second day and the children had a blast doing circus skills with Steve Kaos from Circus Kaos and listening to the various story telling and shows going on throughout the day. I think Jem, (or Thomas Trillby!) always runs a great children’s area, where parents can relax and let their children have an absolute blast. 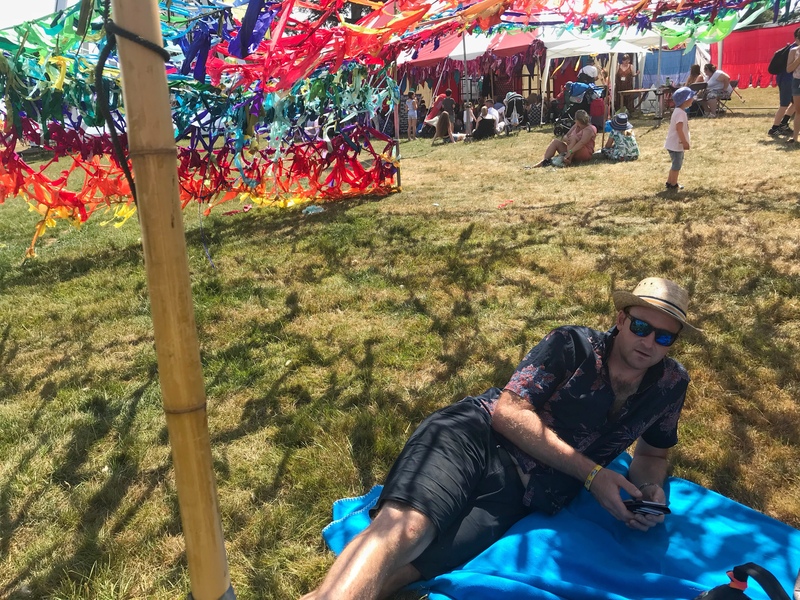 We went back to the van for a bit in the afternoon and ate food and napped, trying to top up the childrens’ energy in an attempt to get to the end of Alanis’s set. 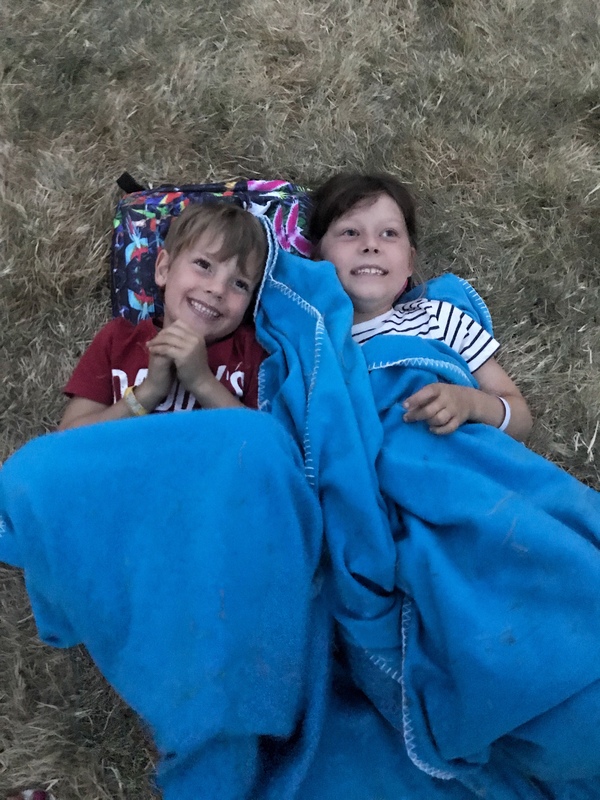 As it happened, they did really well and we ate delicious food after securing a really really good spot in front of the main stage and rocked out first to Amy, (who was utterly brilliant) and then getting almost to the end of Alanis as the kids lay on a blanket and dozed. A huge huge high point again was watching the hot air balloons drift up into the sky as the sun started to set and amazing music played. It’s really something, the view alone is stunning but add in the hot air balloons majestically gliding overhead and it’s breathtaking. On a practical matter, there are plenty of toilets and they are really really clean and the paper and hand gel is kept well stocked. Something that is so appreciated by us now that we are sensible parents, our days of tolerating disgusting portaloos are long gone. There was a huge queue for the showers every morning but if you pick your time well, you get to go straight in and they are very smart and nice. 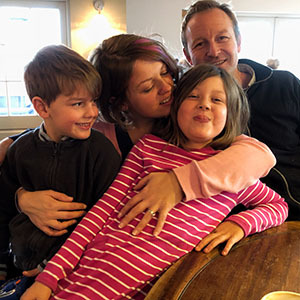 Food options are vast and you can please even the fussiest of children. 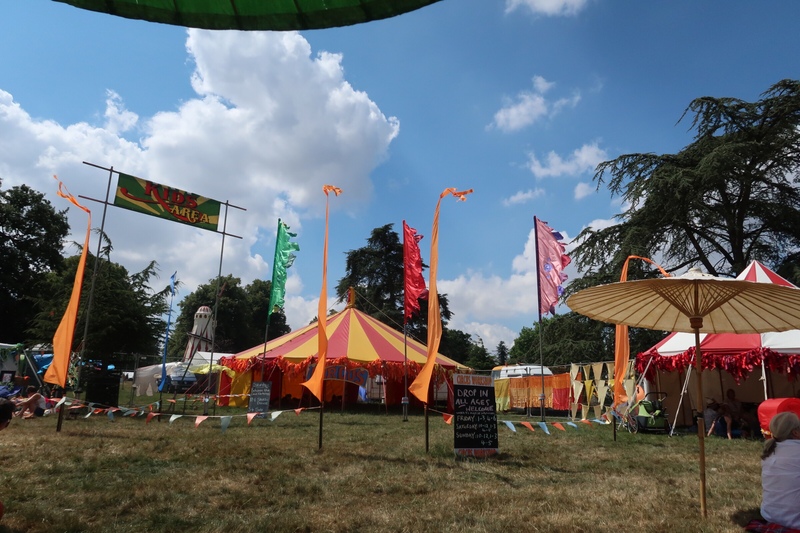 Every year we say that Cornbury is our favourite festival and nothing has changed after this year’s experience. Long may it continue! Keep an eye on their website for the dates for next year.